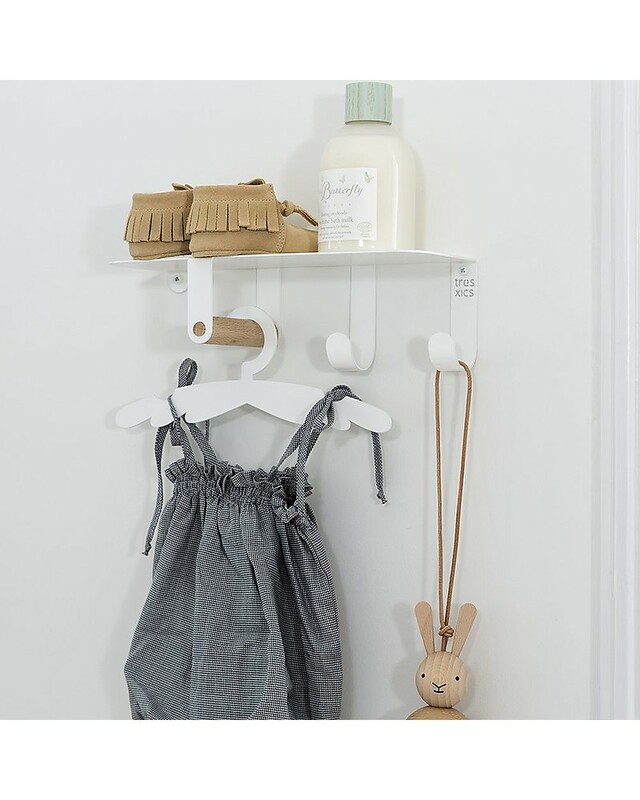 The super cute Shelf with Wing Hangers by Tresxics is the perfect accessory to have your baby's everyday cosmetics and clothes always at hand. 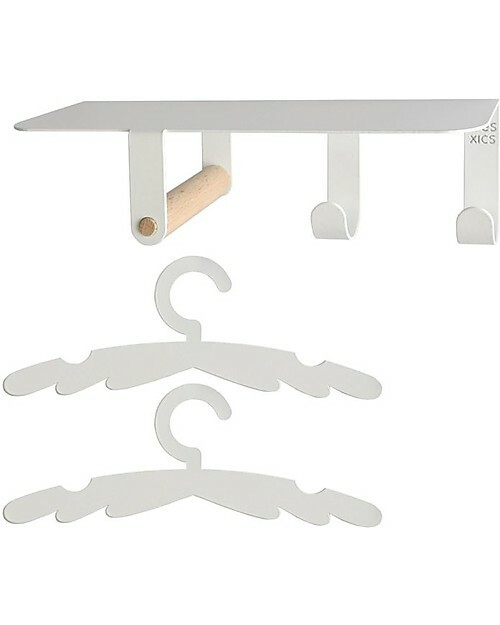 Designed for little ones, the shelf features two hooks and one wood handle to hang the two wing-shaped baby hangers (included). 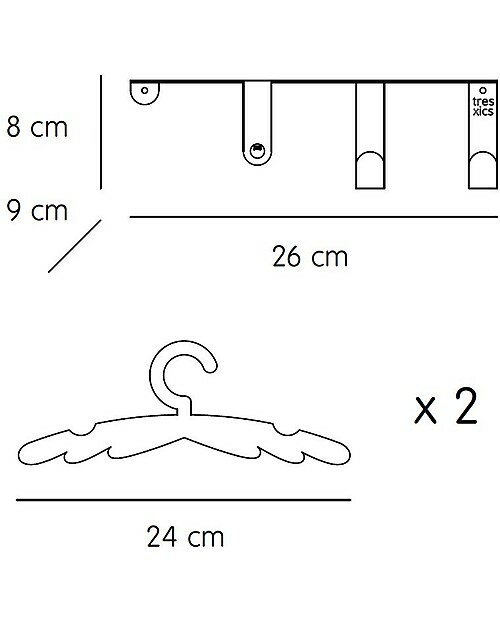 Install it near the baby changing area to have cosmetics and clothes ready for each new day and teach your child to hang his clothes on his own. A simple and practical accessory that will give a touch of poetry to your home. Tresxics is a design brand based in Barcelona that creates wonderful home accessories for kids and adults. Tresxics brand values are local production, social inclusion and sustainability. All Tresxics supplier are local crafts workshops, the brand work with Àuria Group to create job opportunities for people at risk of social exclusion and one of the materials most used in the production is steel, one of the few materials with a complete recycling loop.